Sieracki, the ever-inventor, continues to develop FlowCam imaging particle analysis technology, constantly chasing the challenge to improve the current technology. And Peterson leads the company and continues to seek new opportunities for market development. Fluid Imaging Technologies continuously demonstrates its capabilities to a variety of new markets through our Particle Analysis Services, including printer toner, superabrasives, food and beverage, and others. Today we celebrate FlowCam sales in over 60 countries, with local sales representation in over 25 countries. Kent Peterson has lead Fluid Imaging Technologies since joining the founder Chris Sieracki in 2002. Mr. Peterson has served on a number of boards and is active in community affairs. 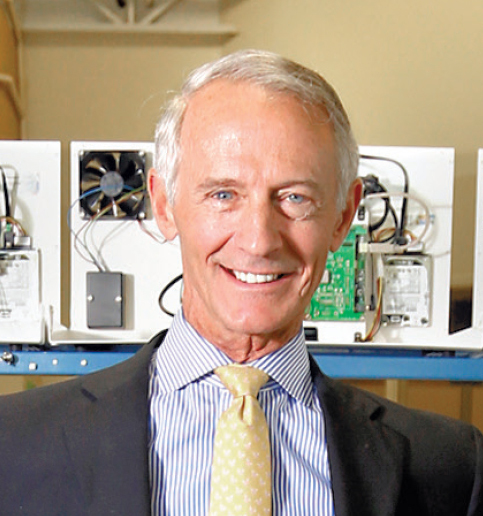 He has also been named Mainebiz Business Leader of the Year. Fluid Imaging Technologies’ awards and recognitions include the Governor’s Award for Business Excellence, the S.B.A. New England Exporter of the Year award, the Portland Regional Chamber’s Robert R. Masterton Award, and Best Places to Work in Maine. Mr. Peterson is an honors graduate from Boston University’s Graduate School of Management, and a member of the American Mensa Society. Dr. Chris Sieracki received his Bachelor of Engineering from Rensselaer Polytechnic institute in 1982, majoring in computer and systems engineering. During those years, he also worked as a cooperative education student at IBM Poughkeepsie. He then received his Masters in Engineering from the Thayer School of Engineering at Dartmouth College in 1984. After receiving his masters degree, Chris then worked as a production engineer for the Signal Analysis Division of Hewlett Packard in Rohnert Park, California until 1989 and then worked as a flight instructor and air taxi pilot from 1989 until 1991. Dr. Sieracki then attended the Thayer School of Engineering at Dartmouth College from 1991 to 1995 when he obtained his PhD in engineering. Upon receiving his PhD, he joined Bigelow Laboratory for Ocean Sciences as a post-doctoral researcher where he developed the first FlowCams. In 1999, he founded Fluid Imaging Technologies to commercialize the FlowCam technology.